November 2014 witnessed a new collaboration arise between the 3D printing pioneers, iMakr, and luxury department store, Le Bon Marché Rive Gauche. The french store were seeking a unique product to sell to their customers that would certainly create a lot of awareness for the company. That is where iMakr come in. 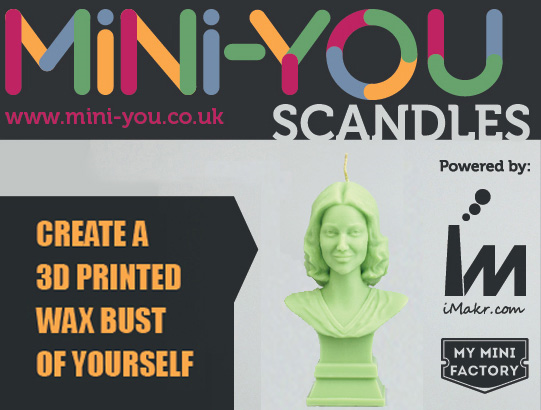 It was decided that a project was going to be launched called “Scandles” - The candle Mini-You. 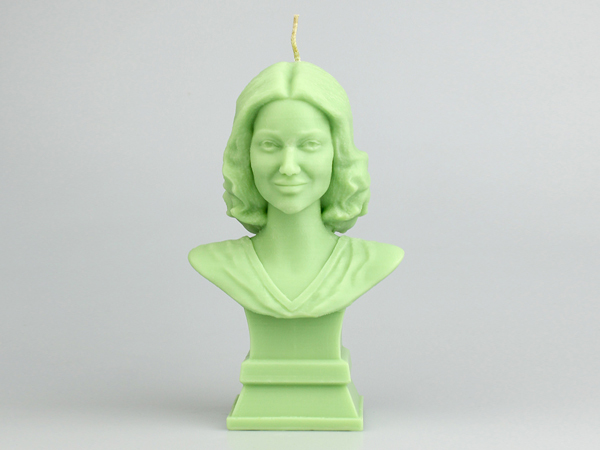 Using a combination of 3D scanning and printing technology, iMakr began to produce high quality, one of a kind candles from a personalised 3D print. From the 1st of November, customers were able enter into a custom built, highly specialised scanning booth located at Le Bon Marché Store in Central Paris, where they would be able to be digitally captured in 3 dimensions. This digital file was then sent to the iMakr Store in London, where a specialised 3D printer would print the custom subject. A silicone mould would then be cast from the printed model and premium quality, all natural candle wax would be used to create the final product from this mould – with options available for different colours and scents. The bust is then delivered to the customer’s address or can be collected directly from Le Bon Marché at 24 Rue de Sèvres, Paris. iMakr has previously made its mark in this field, creating ‘Mini-You’s’ first full colour sandstone at Selfridges, and then the 3D chocolate selfie at Harvey Nichols. This fascinating product makes a truly wonderful gift this Christmas; surprise your loved ones this holiday season with a personalised Scandle from iMakr and Le Bon Marché. All Scandles come with a black marble base and are priced at £199 for a six inch bust, and £299 for an eight inch bust.